Officials say it's illegal, hurts community relations, weakens criminal cases and violates their core values of professionalism. Police departments in Maine have joined law enforcement agencies from across the nation in denouncing remarks by President Trump suggesting that officers shouldn’t be “too nice” to people they arrest. Top police officials in Maine said the idea of extra-judicial punishment runs counter to their training and values, and would weaken the ability of law enforcement everywhere to prosecute criminals and seek justice for victims. 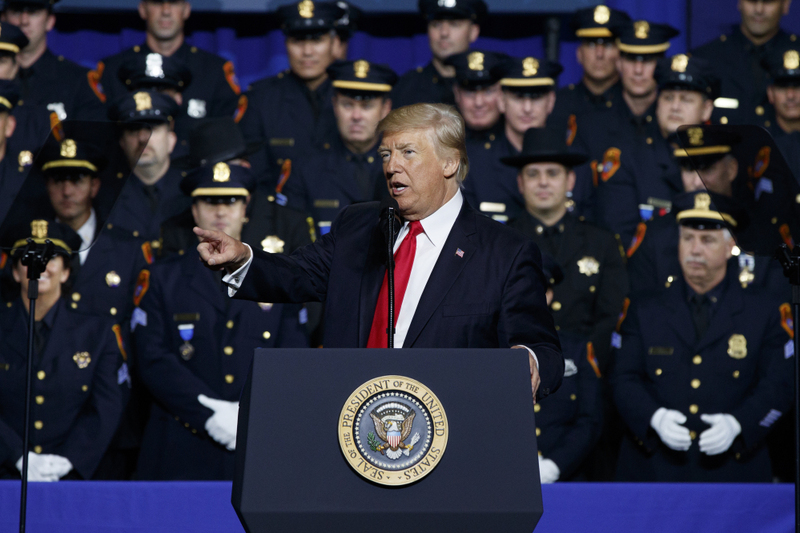 Trump made his comments Friday before an audience of police officers in Brentwood, New York, where he also complained that laws are stacked in favor of protecting criminals, not police. Trump’s embrace of more aggressive tactics drew applause in the moment, but his remarks were quickly condemned by police organizations across the U.S. as counterproductive. In Maine, police officials contacted for comment also dismissed Trump’s remarks as unwise. “The president isn’t going to be sitting there when they’re hauled into federal court and sued” for excessive force, Joyce said of officers. 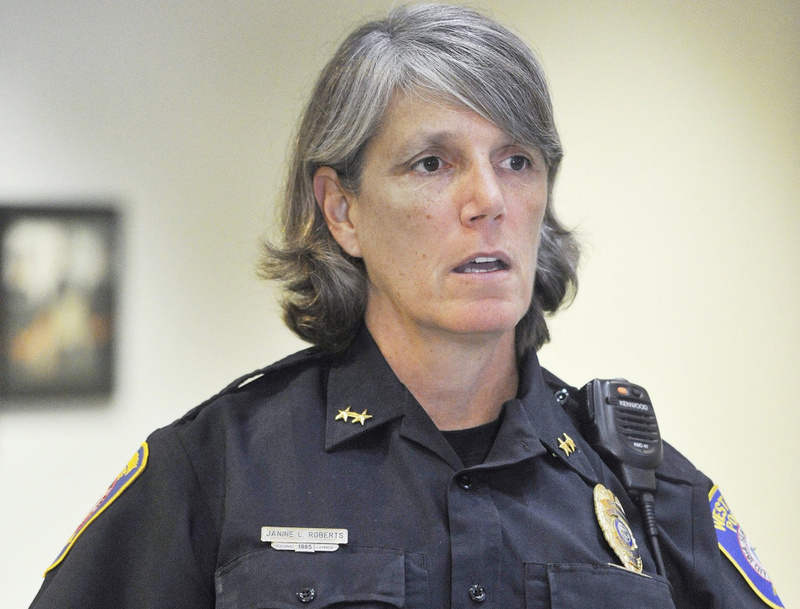 Westbrook Police Chief Janine Roberts said that although the president’s comments have stirred an emotional response, they will not change how her officers do business. Brentwood, where Trump made his remarks, is a Long Island community that has been plagued by violence believed to be tied to the gang MS-13. According to authorities there, MS-13 has been responsible for 17 murders in the past 18 months. “Like when you guys put somebody in the car, and you’re protecting their head, you know, the way you put your hand over” their head, he said, miming the physical motion of an officer shielding a suspect’s head to keep it from bumping against the squad car. The audience of officers laughed and applauded. In the days immediately afterward, police chiefs denounced the president’s comments and said they do not condone brutality. 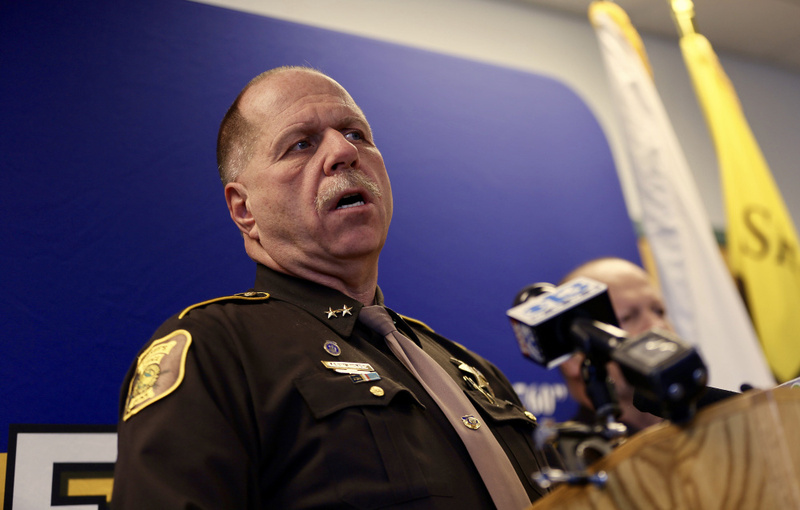 Police departments nationwide have come under increased scrutiny after high-profile incidents in which police officers have been accused of – and in some cases videotaped – treating citizens with excessive force. On Monday, under questioning by the press corps, White House spokeswoman Sarah Huckabee Sanders said the president had been joking about roughing up suspects. CNN reporter Jim Acosta then asked why the president joked about police brutality, but Sanders did not answer that question. Portland Police Chief Michael Sauschuck released a statement in response to questions, reinforcing that good police work depends on building trust and maintaining relationships with all community members. “Any comments or actions that serve to weaken that ability are divisive and truly damaging to public trust,” Sauschuck said. In Portland, use-of-force incidents and complaints against police have tumbled. According to a 2015 annual report, the most recent year available, use-of-force incidents fell from 235 in 2004 to 127 in 2015. Complaints from the public also have declined, from 31 in 2004 to 10 in 2015. Some departments and law enforcement organizations did not respond to requests for comment, including Maine State Police Col. Robert A. Williams, Biddeford Police Chief Roger Beaupre, and representatives for the Maine Association of Police and the Maine State Troopers Association. Robert Schwartz, executive director of the Maine Chiefs of Police Association, said the actions suggested by Trump are against the law and his remarks were “certainly misspoken.” Schwartz said he did not think the president’s words would influence Maine law enforcement personnel. He said many police officers are now equipped with body and dashboard cameras, and are trained to use only enough force as is necessary to subdue a suspect. Robby Moulton, Scarborough’s chief of police, also denounced the president’s remarks. Moulton said the Scarborough department has a “strict policy” prohibiting the use of excessive force against anyone an officer may come in contact with. “Any message that we should encourage, authorize or excuse officers from using force unnecessarily is totally wrong,” he said. Moulton said he would like to believe that his officers will disregard the president’s comments and try to do the right thing during a time when his department and others are trying to foster better community relations. Using excessive force to punish an alleged criminal offender is not the way to improve relations. John Rogers, director of the Maine Criminal Justice Academy where all police in the state are trained, said he did not hear the president’s comments himself. After hearing a brief description of Trump’s remarks, Rogers dismissed them.